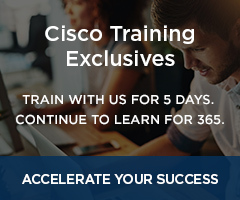 The CCIE Collaboration certification is ideal for Cisco collaboration architects, unified communications architects, or voice and video network managers who are responsible for designing, implementing and troubleshooting complex Cisco collaboration solutions. Achieving CCIE Collaboration certification validates your expert-level knowledge of and experience in integrating, interoperating, configuring and troubleshooting Cisco collaboration solutions in complex networks. It also confirms that you have the expertise to manage the challenges of video, mobility and presence as the foundation for workplace collaboration solutions. 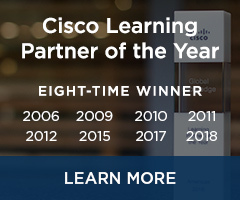 During the CCIE Collaboration certification process, you will gain expertise in providing voice, video, IM, presence and call center solutions and training that will prepare you to deploy adaptable collaboration systems and services that provide a seamless user experience and increase user productivity. 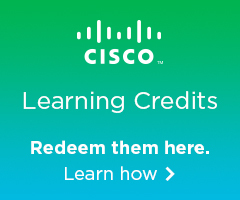 You must pass the two-hour written exam covering those technologies and applications that comprise a Cisco enterprise collaboration solution before you are eligible to schedule the lab exam. The eight-hour CCIE Collaboration Lab Exam tests your ability to get a Cisco collaboration solution operating in a timed situation. You must make an initial attempt of the lab exam within 18 months of passing the written exam. If you do not pass the lab exam within three years of passing the written exam, you must retake the written exam before being allowed to attempt the lab exam again. CCNA Collaboration and CCNP Collaboration certifications are recommended. Students are expected to have an in-depth understanding of Cisco Collaboration technologies, and three to five years of job experience are recommended before attempting certification.